Itoigawa Station is the closest shinkansen station to the Sea of Japan, and this is the perfect place to see it! 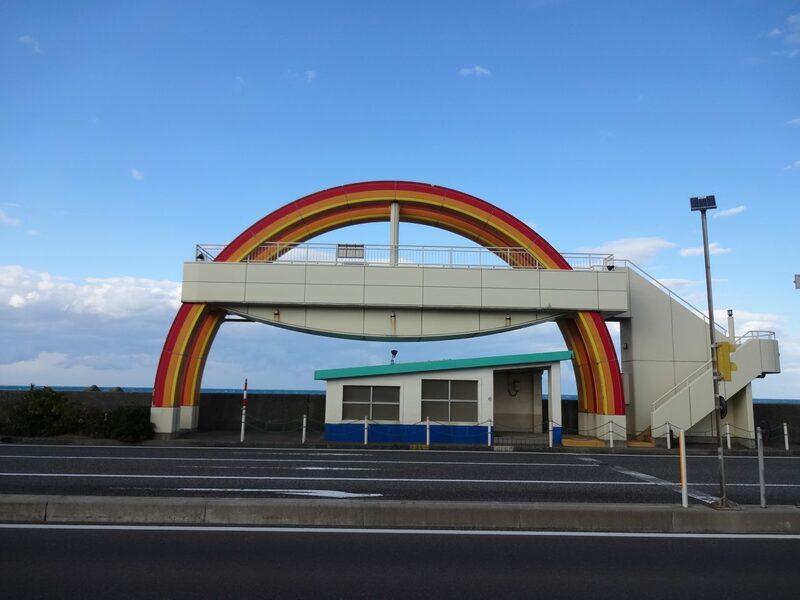 Use the pedestrian underpass to cross the highway and climb the steps to enjoy panoramic views of the Sea of Japan and Itoigawa. On clear days, you can see as far as Noto Peninsula and even Sado Island! It’s also a great location to see the Japanese Alps that tower over the city to the south.